On June 10, 1916, The New York Times published a rumor. 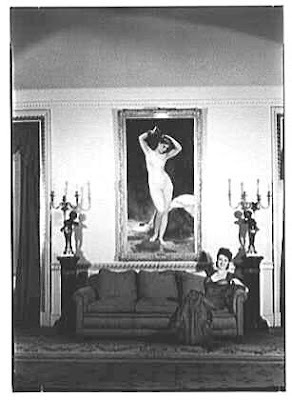 Mrs. Vanderbilt gave the land to the newlyweds and her daughter promptly commissioned Frederick J. Sterner to design their new home. Sterner was more well-known for his remodeling of existing townhouses for the wealthy than for designing residences from scratch; but he produced a home that stopped pedestrians in their tracks. The broad grey stucco-covered façade under a red clay tile roof is relatively undecorated, other than the exuberant doorway and window overhead. 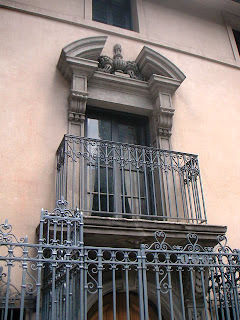 The rich, Spanish Colonial balcony and stone entablatures are hallmarks of Sterner who routinely inserted Italian gardens and other romantic, picturesque details into his work. A tall, Spanish iron fence guards the front of the building and adds additional visual appeal. With this commission, he built the residence around a beautiful central courtyard where the newlyweds could enjoy the open air in total privacy. The quaint details were carried on inside with decorative touches such as electric ceiling fixtures of multicolored glass mimicking clusters of grapes and berries nested on a medallion of plaster grape leaves. The Hatch’s marriage was not an ideal one and four years later it ended in divorce. 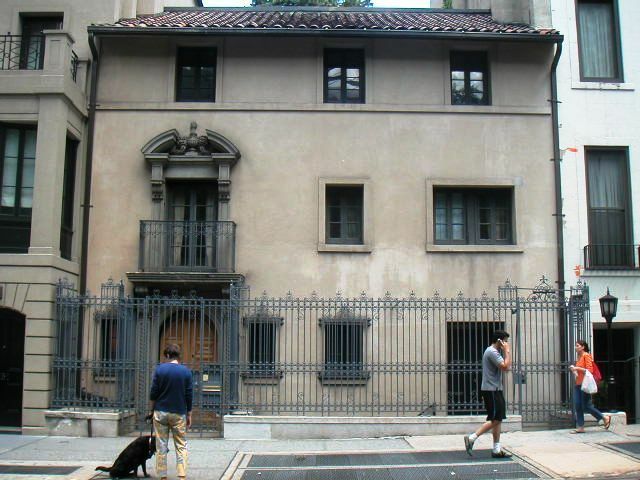 The house at 153 East 63rd Street was about to see a remarkable string of memorable owners. 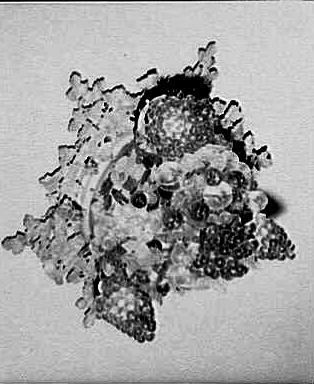 Charles B. Dillingham purchased the home in 1921. One of the most important of Broadway agents and producers at the time, Dillingham owned the Globe Theatre, was in partnership with Florenz Ziefeld and A. L. Erlanger and oversaw the careers of stage stars like Beatrice Lily and Irene Castle. Dillingham and his second wife entertained the cream of New York’s theatre business here until their divorce in 1924. In 1928 Dillingham sold the house to iternationally acclaimed aeronautical engineer Charles Lanier Lawrance. Lawrance, whose firm Lawrance Aero Engine Company merged with the Wright brothers’ Wright Aeronautical Corporation after World War I, invented the Wright Whirlwind Engine. It was Lawrance’s engine that powered Admiral Byrd’s exploration of the North Pole and carried Amelia Earhart on her widely-publicized flights. Gypsy Rose Lee died in 1970 and for a period the home was owned by Dr. Ferrucio di Cori who carefully retained the interiors intact, much to the approval of the Landmarks Preservation Commission upon designating the house a landmark in 1977. In the 1980s famed modern artist Jasper Johns, Jr. moved in. Johns’ painting White Flag was sold to the Metropolitan Museum of Art for about $20 million and his False Start sold for $80 million (the most expensive painting by a living artist) in 2006. Today the remarkable Hatch House is owned by filmmaker Spike Lee. 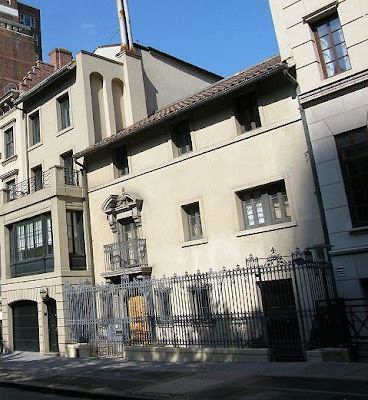 One of the most distinctive townhouses in Manhattan, its list of remarkable owners is unrivaled. In November 2013 Lee put the house on the market for an eyebrow-raising $32 million.